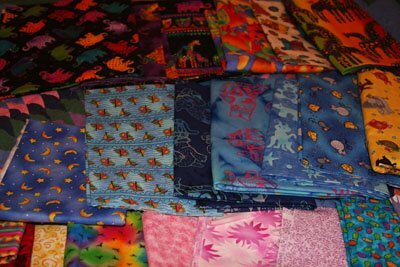 Before I got into knitting, I was into quilting. For awhile, I thought I was going to do a metric ton of baby and kid quilts. I bought fabric accordingly. It has been sitting in my tote for no fewer then five years, barely touched. 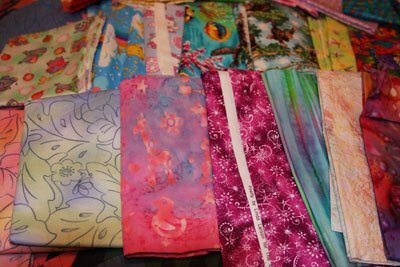 A few days ago, I got brave and halved what I have in my fabric tote, but with this comes a problem…how do I go about getting rid of all this fabric? I could measure everything, price it, put it up on Etsy or Ebay…but man, that sounds like a total pain in the rear. There are a few sewing related groups on Ravelry I could post in to say I’m destashing, but once again, I have to go through the trouble of documenting every piece, pricing it, and then selling and shipping it. I’ve thought of taking it to a knit night or open work day at the LYS, but I’m not sure if this would violate some sort of etiquette. The idea of blitzing it out garage sale style is tempting. I’m tempted to throw it into a paper bag and say $20 gets it. So I’m going to post pictures here and see if there’s any interest first. If not, I could get off my lazy bum and get everything measured and priced. 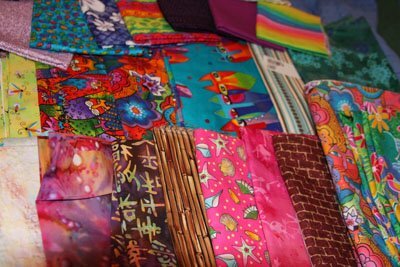 It’s a lot of batiks, novelty fabrics and Laurel Burch. 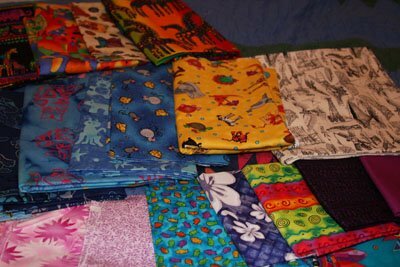 Ranging from 1/4 yd-1 yd+ pieces.